The Marcellus Citizen Stewardship Project (MSCP) has been developed to empower citizens to take steps to protect their property, their health, and the environment, principally our water resources, from impacts of extracting Marcellus shale in southwestern Pennsylvania. The Marcellus Citizen Stewardship Project will be a model so that other watersheds and communities can easily replicate the project in their region. The Mountain Watershed Association is currently piloting the project in the Youghiogheny River watershed. Collaborators include the Center for Healy Environments and Communities, Three Rives Waterkeeper, Clean Water Action, PennEnvironment, Group Against Smog and Pollution, and the Fayette County Conservation District. Our goal is to hold informational meetings on Marcellus shale throughout the Youghiogheny River watershed in order to ensure that people have the tools necessary to protect themselves and their properties from drilling. Additional informational meetings will be held in the Somerset, PA and Farmington, PA areas in Spring 2011. We are following these informational meetings with visual assessment training. The visual assessment trainings are designed to involve citizens in using their senses in providing oversight of drilling operations, for example, learning to recognize illegal water withdrawals or spills or air pollution. At these trainings citizens are provided with in-depth information on permitting, regulations, air and water impacts, a safety briefing, the Fracktracker data system, and an overview of our MCSP data reporting forms, through which citizens can report impacts to us and also to the Pennsylvania Department of Environmental Protection. 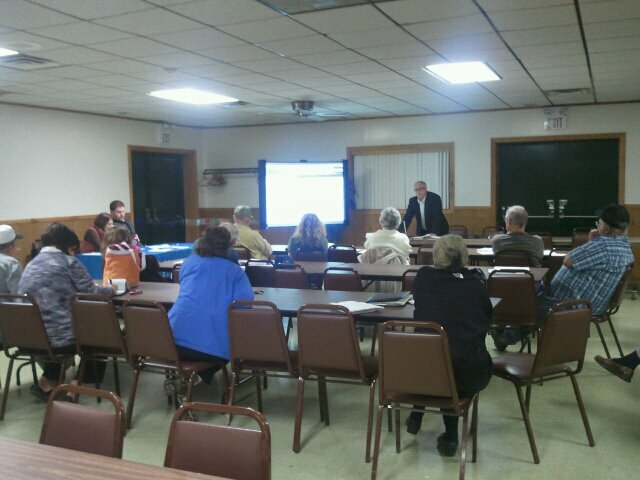 We have also sponsored one Visual Assessment training session in Mount Pleasant, PA. Fifteen people attended and each person received our Citizen Surveillance Manual, an 80 page manual designed to provide an in-depth overview of Marcellus shale and also instructions for how to safely and effectively conduct visual assessments. This training session was designed to be very interactive, and there was excellent discussion with those in attendance regarding Marcellus development throughout the Yough River watershed. The Citizen Surveillance Manual is also available on our website at www.mtwatershed.com. Sue Seppi from Group Against Smog and Pollution: air impacts from Marcellus shale activity. The Marcellus Citizen Stewardship Project gives citizens in Southwestern Pennsylvania an opportunity to take action to protect their watersheds and communities from the impacts of Marcellus drilling. For more information on the MCSP you can email veronica@mtwatershed.com or call at 724-455-4200 ext 4#. We also encourage those interested to join our mailing list in order to receive updates on this project. Visit www.mtwatershed.com to join. The data gathered from this process will eventually be uploaded onto FracTracker’s DataTool [link removed]. Check it out to see the other data presently available to registered users.